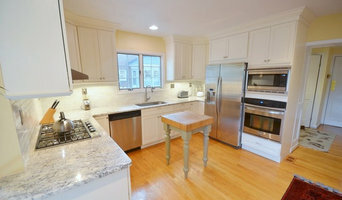 District Custom Woodworks is a locally-owned and operated cabinet shop in Northern Virginia. Our team is carefully selected and dedicated to providing you with an unmatched personal experience. Let our decades of combined experience within the local community work for you. Our exclusive high gloss and textured finishes from Europe and North America complement the broad variety of our standard solid colors and wood grains. With our selection of fine hardware and personal attention to detail, we combine functionality with your aesthetic goals, all while working within your budget. Our state-of-the-art facility utilizes the latest and greatest equipment available. The consistency of our end product hinges on our precise and efficient machinery, as well as the expertise of our fine craftsmen. Our team works in unison to produce exactly what you ordered. Local production enables shorter lead times and faster delivery. With nearly two decades of woodworking experience we build high-quality, custom cabinetry and furniture that will enhance the beauty of your home forever. We produce all of our fine millwork and furniture from our workshop located in Manassas, Virginia. Our products are constructed using high-quality products that will not warp or sag over time. Our finishes are professionally applied in a controlled paint room with a high-end spray gun and finishes, giving our furniture a clean, error free look and touch that will last. The Old Dominion Cabinet Maker is a Veteran owned business. Joinery and cabinet makers are mostly known for their work in kitchens and bathrooms, but their skill set goes much further than that. It is important to understand the difference between carpenters and cabinet makers, which lies in the detail of work. Carpenters tend to work on larger structural projects and this is why many become builders, whereas cabinet makers are masters when it comes to the finer detail. 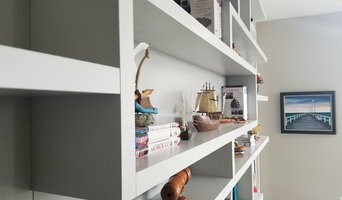 So if you’re looking for detailed woodwork like custom-made furniture for your living room or smart storage solutions, you’ll be sure to find an Ashburn, VA cabinetry expert in the Houzz directory of professionals. 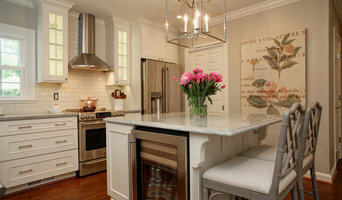 What Do Ashburn, VA Joinery and Cabinet Makers Do? 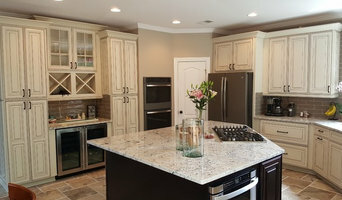 If you know what you want and are ready to take the next step, scroll through this page to find joinery and cabinet makers in Ashburn, VA. As mentioned, you can browse their latest projects, read reviews and see how other homeowners rate their work, and message them directly. You can also look through Photos to find examples of joinery you like, then contact the professional who worked on them.